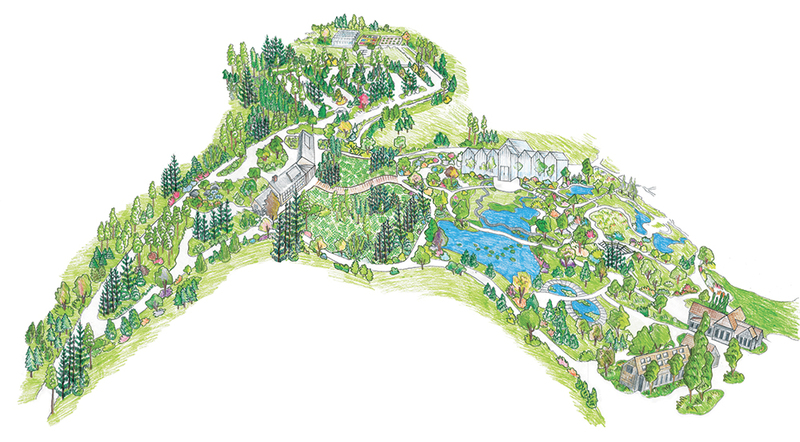 In the relatively short time since our grand opening in 2007, Coastal Maine Botanical Gardens has become one of the largest public gardens in the country, ranking among the top ten percent. Our original master plan began in 1998 and finished in 2004. Phase one of this plan, which included our original buildings, infrastructure, gardens, parking and restrooms, was completed in 2011. Our original facilities were built on a predicted attendance of 40,000 annual visitors; remarkably, we surpassed 40,000 our second year of operation, and in 2018, our attendance surpassed 200,000. We have welcomed visitors from 63 countries and all 50 states. The goal of phases two and three of the master plan is to provide a quality experience for guests in the future. We’ve been working with exceptional designers and engineers to ensure our plans meet or exceed all state and federal regulations. Over 200 professionals, staff, board members and stakeholders worked together to create a plan with four primary goals: to build capacity to properly serve our current and future guests; to foster year-round visitation; to strengthen programming in our key mission areas of horticulture, education and research; and to continue to be a model for best practices surrounding fiscal and environmental sustainability.